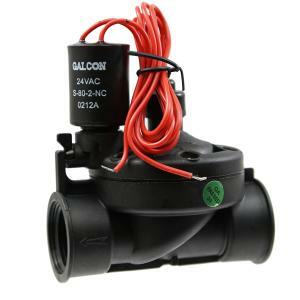 Galcon is a leading manufacturer of automated valves in the irrigation industry. These high-quality 24 volt AC valves are designed for use with Galcon AC controllers and compatible with many others. These are a reliable globe style valves with a fully supported diaphragm made of corrosion free materials for long life. These valves offer a wide range of flow rates to fit all your irrigation needs. Great for drip systems to overhead spray systems.